Free engineering spreadsheet. 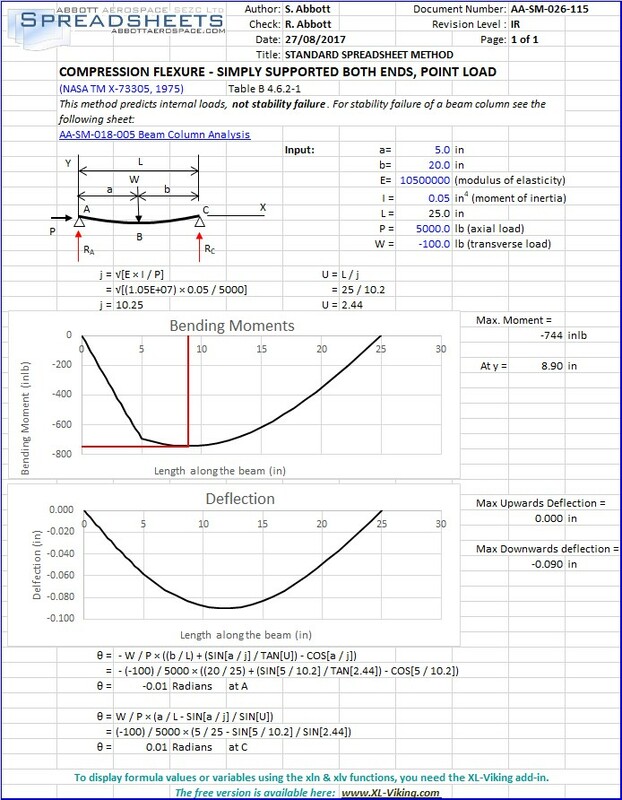 Beam analysis spreadsheet, based on the method in NASA-TM-73305, the NASA Stress Analysis Manual. Note that the spreadsheet cells with blue ink are the input values - all other cells are either text or values generated by the spreadsheet.